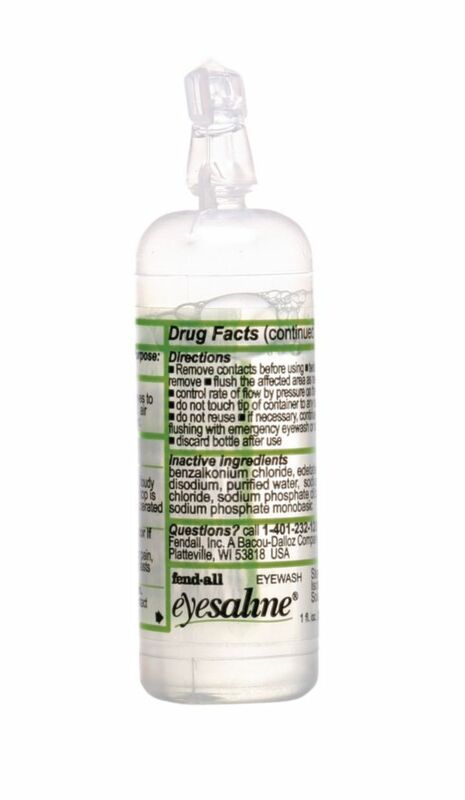 This bottle contains a sterile, buffered saline solution for emergency eye care. It delivers drops or an irrigating stream of solution, depending on the squeeze pressure applied to the bottle. Each bottle features extended flow openings and twist-off tops for easy access in an emergency. It also has an expiry date and lot number for user-end protection.